Greece offers many benefits to high net worth individuals who wish to attain Greece citizenship by investment in real estate. Once considered the birthplace of Western civilization, Greece is a beautiful country with a rich history. Tourism is a major industry, so owning or leasing vacation properties to gain residency is an excellent choice. With memberships in the European Union and in the Schengen Area, Greece is ideally situated for many lines of business. Its unique geographical position makes trade within Europe, as well as trade between Europe, Africa, and the Middle East convenient. May I purchase a combination of residential and commercial property? A: Yes. The law does not distinguish between the two types of properties, as long as the investment meets the minimum threshold of €250,000. Must I prove that I have the funds to purchase the property as part of my application? A: Yes, you must prove that you can complete the purchase or lease, and can pay all fees. You do this by providing authenticated bank statements, bond holdings, or other transferable securities. Do any restrictions apply to the investment real estate, such as its location or size? A: There are some restrictions, but they may be lifted if the applicant submits a request to the Minister of Defence. Properties in border regions within 20 prefectures are affected by size restrictions. As part of the investment planning, we will ensure that all such matters are properly explored and will aid in the selection of property and location. What if I sell or otherwise transfer ownership of my property? A: You will lose your right to residency unless you are already a Greek citizen. If the buyer or transferee is also not a European Union citizen, the buyer may apply for residency at that time. Does being a resident enable me to apply for Greek citizenship? A: As a real estate investor, you have the right to long-term residency; you do not have an automatic right to apply for naturalization. However, if you are a long-term resident and meet other qualifications, you will be eligible to apply for citizenship. Will a family member, an employee of mine, or I get a work permit? A: No. Residency by investment grants the applicant the right to work within their own Societe Anonyme (SA) business. It does not grant anyone else the right to work or to seek employment. Can my and my spouse's children attend Greek public schools? How do my family and I receive health care? A: You will receive health care as long as you have appropriate health insurance. 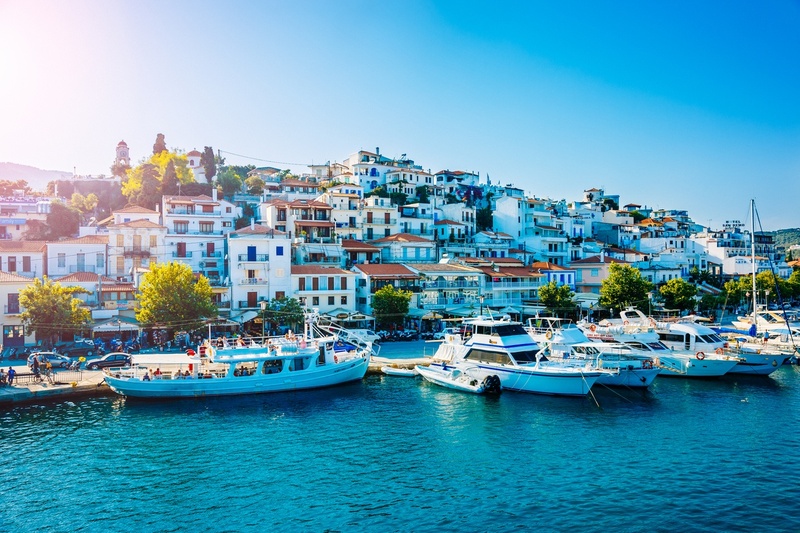 If you purchased insurance outside of Greece, then the insurance must state that you are covered while you are in the country. How could I lose my residency? A: There are two ways: the first way is to be found guilty of a criminal offense either in your home country or in Greece. The second way is to lose possession of your real estate investment or if you are on an international ban list. May I travel throughout the European Union and the Schengen Area? A: Yes, you may travel throughout the EU and the Schengen Area, with some limitations. Not all EU members are Schengen Area members. You may travel to and stay in a Schengen Area member state for up to three months per a six-month period. You do not need to travel from Greece to enter a Schengen Area member state. If I already have a Schengen Area visa, do I need to obtain one from Greek authorities? A: No, your existing visa remains valid. May I buy a car with Greek license plates and take it into other countries? A: Yes, as long as you satisfy the requirements published by the Ministry of Transport for third-country citizens. After I purchase the property, may I take out a mortgage on it? A: Yes, you may mortgage the property in the same way that a Greek citizen would mortgage their own property. Do I need to hire a lawyer in order to apply? A: Technically, the Greece residency by investment program does not require that you hire a lawyer to act on your behalf. But as with all critically important endeavors, it is wise to obtain counsel from immigration experts who can answer legal questions, manage and monitor the entire process, and ensure that everything is completed correctly and on time. In order to arrange a free initial consultation, please contact us by clicking this link or the image below.